It’s that time again… what to buy your bike-obsessed friend/brother/wife/son/etc for Christmas. So here’s the first of two reviews to help you out… the second one looks at those special (more expensive – Ed) presents that you’ll see appearing on lists for Santa, but this one gives you some simple initial ideas. Where you’re buying as a main present, a stocking filler or for an office Secret Santa, these ideas show that you do really care about ‘the bike(s)’. So, where to start… let’s start with ‘practical’. All cyclists should carry some tools with them when they’re out, if only to adjust the saddle, and in recent years there’s been an arms race of sorts in the mini-tool world to create bigger and better tools – to the extent that I’d question whether they actually qualify as ‘mini’ any more. 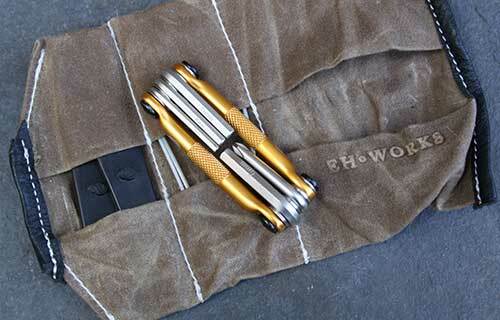 In fact for most road side repairs it’s possible to get away with a mini-tool that has four or five attachments, so my first suggestion goes to the Crank Brothers M5. Not only is the Crank Brother tool really simple, but in a range of anodised colours it’s nicely blinged as well… and it’s cheap at just £10. Given that it’s winter and getting out on a bike means getting either cold or wet (or both), a Buff makes a great gift. Buffs come in a variety of weights, including some thick fleecy versions, but for most cycling the ‘standard’ version is perfect – I’ve even used mine in freezing white-out conditions when skiing and it’s been ideal. It’s light enough to store in a pocket, is wonderfully comfortable, and comes in a huge range of colours – my Buffs both feature the Kukuudoo cartoon characters, but the choice is huge… take a look at Buff. One last practical idea… a Knogg light. These little rubberised lights come in a range of colours and attach unobtrusively on a handlebar or seatpost, giving more than enough light (flashing) to help keep the rider visible on a dreary day. More importantly, maybe, is that they come in a wide range of colours, so my turquoise Knogg Strobe almost matches my Bianchi, what’s not to like. Whether you’re buying for a colleague at the office party or a relative, it’s always nice to have that “I would never have thought of buying that” surprise in a present… so have you ever thought of chamois cream? 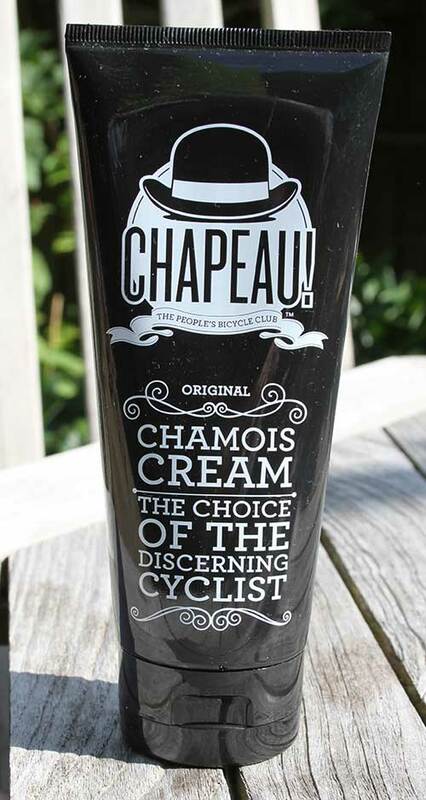 Chamois cream is one of those things that most cyclists know about, but hardly any have ever tried, which is a shame really as it does work. So if your ‘cyclist’ is starting to get into longer rides and needs a little ‘protection’ in the gusset, then sort out some cream. I was given some Chapeau Chamois Cream earlier this year and I’m sure that it’s made some of my longer rides a little more comfortable. 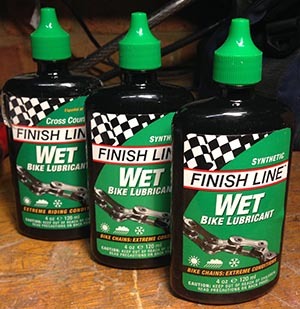 The other ‘odd one’, with an element of comedy value (perfect for the office party), is wet lube… Our garage staple in the Mombee workshop is Finish Line Wet Lube, which works brilliantly, but it does look as though it lives in a garage. So for a great product that’s more ‘aesthetically’ packaged try the Muc-Off Wet Lube. 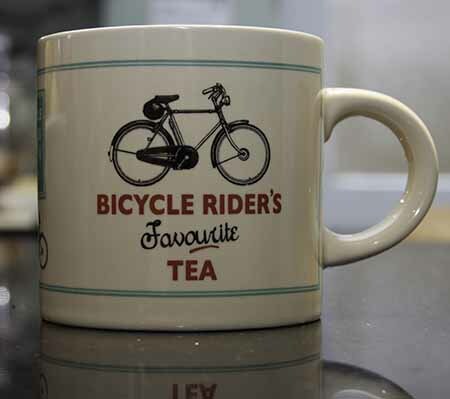 It’s rare to find a cyclist who can’t get through the day without an almost intravenous supply of coffee or tea (or both- again), so what better way to assist this than with a bicycle mug… current favourites in the Mombee office are the Bicycle Riders Favourite Tea and the Chapeau mug. Obviously one really easy option is fresh coffee – a pack of ground coffee is a supermarket staple, and they’ll probably sort you out a decent cafetiere as well for about £10. Alternatively you could sort out a coffee bean grinder and fresh beans. Last but not least, don’t forget the best cycling t-shirts ever (? 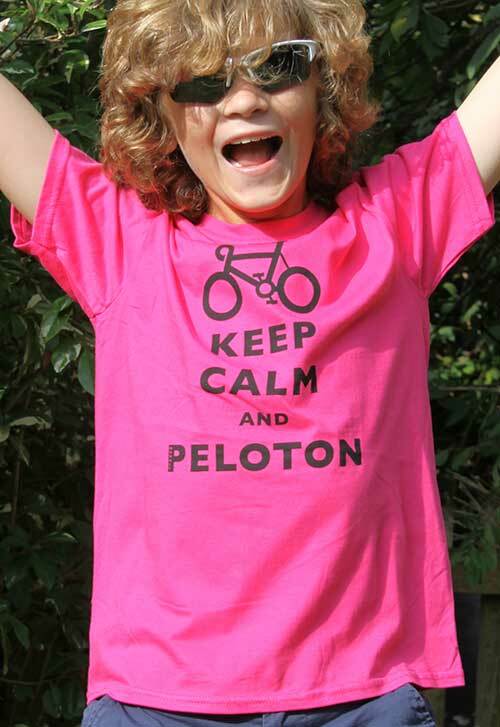 )… our Keep Calm And Peloton t-shirts… the perfect stocking filler for any cyclist – available for men, women and children in achoice of brilliant colours. Next PostDoes hi-vis work for cyclists?